← Leopard got a monkey! AAC MPW 300BLK rifle with 2.5-10x Vortex scope. The shooter is one of OATH Ammunition employees. 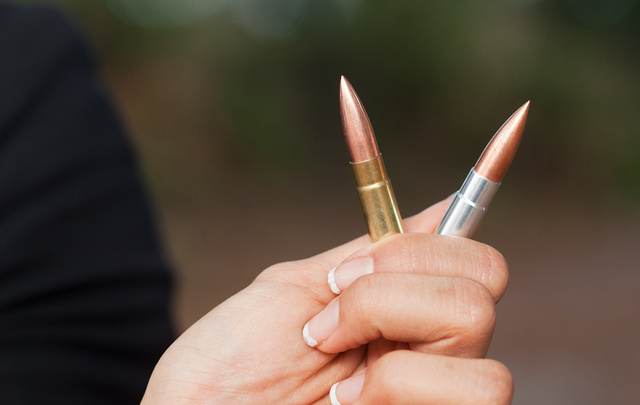 Ammunition: OATH subsonic 300BLK in aluminum case, supersonic in brass case. Projectiles in both are precision-machined copper. I’ve been playing a lot with machined bullets recently: you can tell the uniformity of the shape even by how little retouching is needed in the macro photos. My test group. I am not the best shot with rifle, so these results at 25 yards with subsonics aren’t showing the full capability of the weapon. The point of aim was the numeral 6, but the scope wasn’t zeroed for me or for this round. Correct point of impact for 25 should have been an inch left and an inch down or so. So, the small detail I found relevant is the parallax adjustment on the scope. 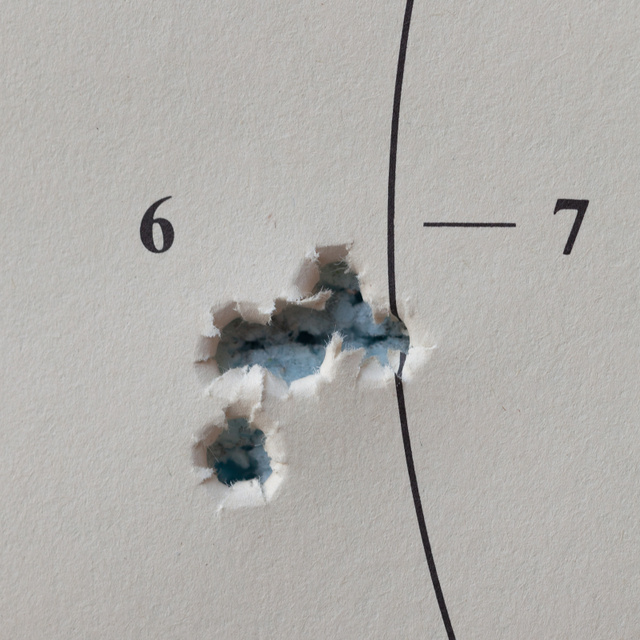 Most 2.5-10x scopes are set for 100 yards and look a bit fuzzy at 25. This one gave a sharp image and the reticle didn’t shift relative to the target when my eye did. This entry was posted in ammunition, interesting people, rifle, weapon and tagged 300BLK, AR15, optics. Bookmark the permalink.